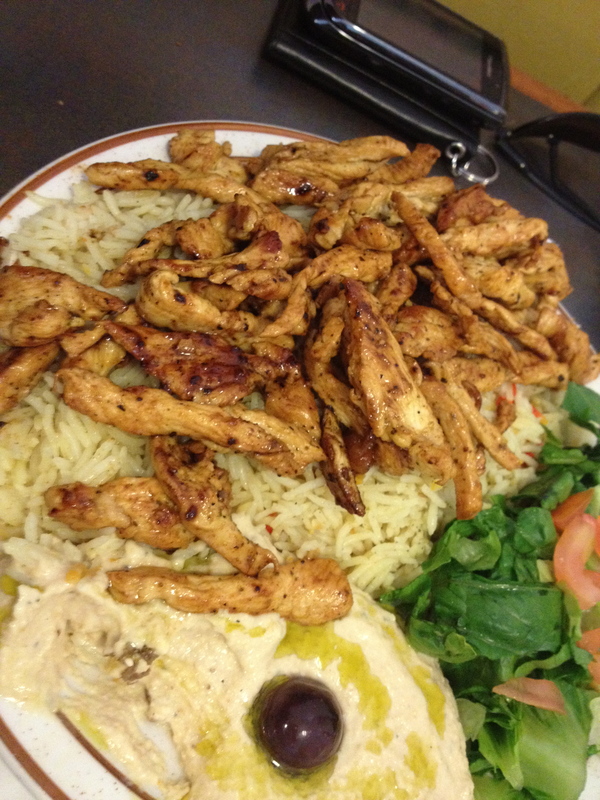 Juba Red Sea & Mediterranean Cuisine specializes in Mediterranean & East African cuisine and has been serving the valley since 2005. This restaurant is located in a shopping plaza that is cultural hub in Phoenix. After teaching at the Somalia center, we headed here for lunch. Their samosas have been voted best samosas in Phoenix. I ordered the chicken shawarma, hummus, a samosa and Somalian tea. The food was excellent and I look forward to many lunches here. 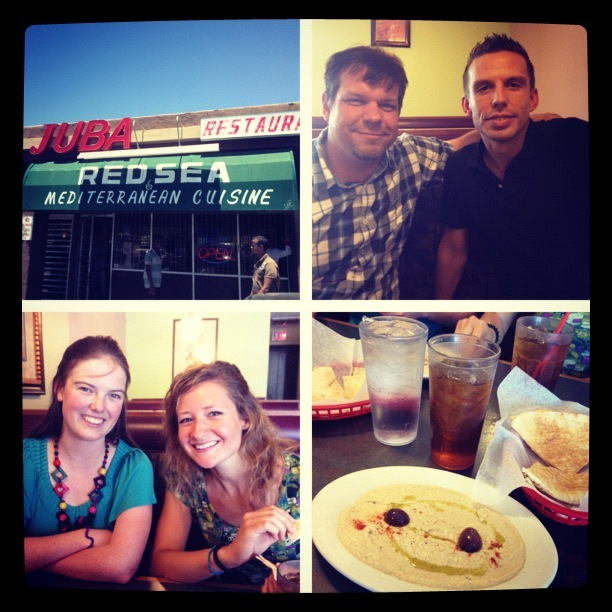 This entry was posted in Culture, Mediterranean Food and tagged African tea, Chicken Shawarma, east african cuisine, ESL, hummus, Juba, Juba Red Sea & Mediterranean Cuisine, Juba Restaurant, Mediterranean, Mediterranean Cuisine, Phoenix, samosa, Somalia, Somalian tea, teachers, Zomato by ttimmons. Bookmark the permalink.